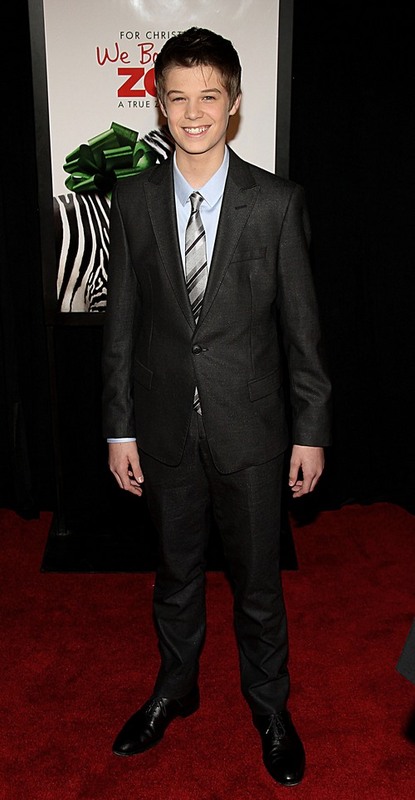 The cast of ‘We Bought a Zoo’ hit the red carpet at the Ziegfeld Theatre in NYC for the movie’s premiere. The film opens December 23, 2011. Scarlett Johansson, who plays the hard working zoo expert Kelly Foster. Elle Fanning plays Lily, Kelly’s niece. Maggie Elizabeth Jones and Colin Ford play Rosie and Dylan Mee. I don’t know where they found these two young actors, but they will both steal your heart when you see this movie! The ‘real’ Benjamin Mee and his children Rosie and Dylan. 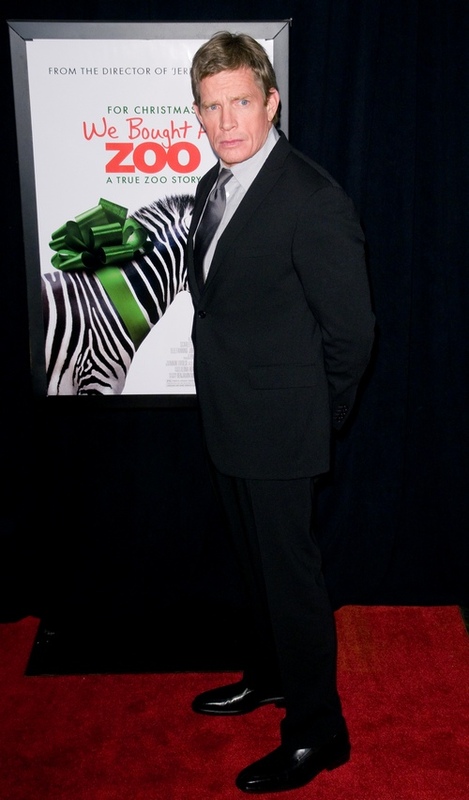 Benjamin wrote the book that the screenplay is based on: ‘We Bought a Zoo: The Amazing True Story of a Young Family, a Broken Down Zoo, and the 200 Wild Animals that Changed Their Lives Forever’. Thomas Hayden Church plays Benjamin’s (hilarious!) brother Duncan. Stephanie Szostak plays Katherine Mee, Benjamin’s late wife. Patrick Fugit stars as Robin, one of the overworked zoo hands.